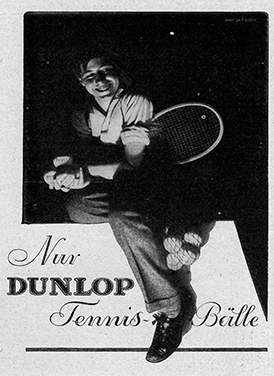 A very popular tennis ball advertisement theme in Germany and Italy, was the “Dunlop Boy”. 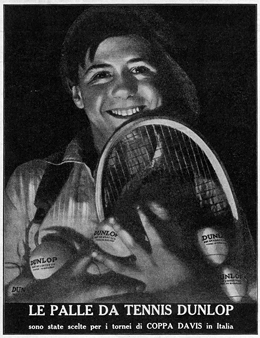 He appeared in many ads and promotional items like the ones shown here. 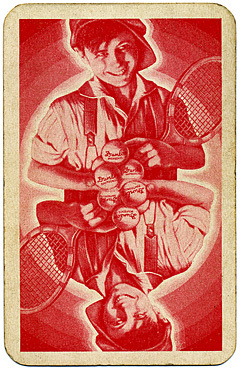 The interesting red Dunlop can was later replaced by a similar can featuring an adult male. 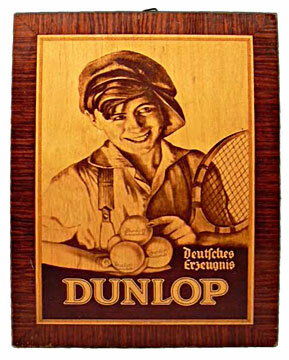 I wonder if it is indeed the Dunlop Boy all grown up? If you have any other items or information about this character, please use the contact link and let us know. At first glance it appears that the wooden image and the photo on the can are identical, but there are actually several minor differences. 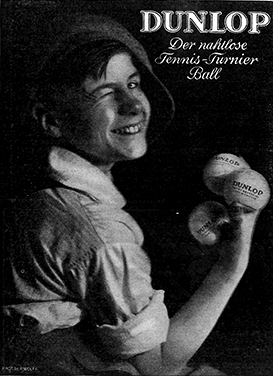 In the wooden ad, the boy is wearing suspenders, his right hand is flat with three balls in his palm and a fourth stacked on top. The word below Dunlop on the tennis ball is longer, and there is nothing on the throat of the racquet. 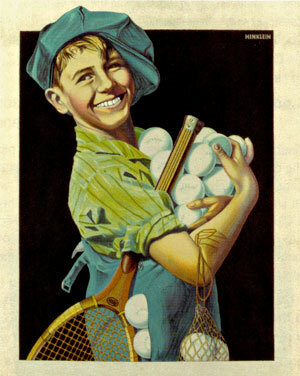 In the can’s photo, there are no suspenders, the boy is holding the balls against his body, his left thumb is visible, his hat has a depression on the top, the text on the balls is shorter, and there is some type of decal or text on the racquet’s throat.